Elizabeth Cottage is a 19th Century Character Cottage with a courtyard garden in the picturesque commuter town of Harpenden, a town with a rural feel but that benefits from direct links to London - Harpenden to Kings Cross St Pancras in 25 minutes. The cottage has a small sitting room with TV and fireplace, fully functional kitchen, courtyard garden, stairs to a double bedroom and a great size bathroom with both a free standing bath and seperate shower. Free wifi throughout. 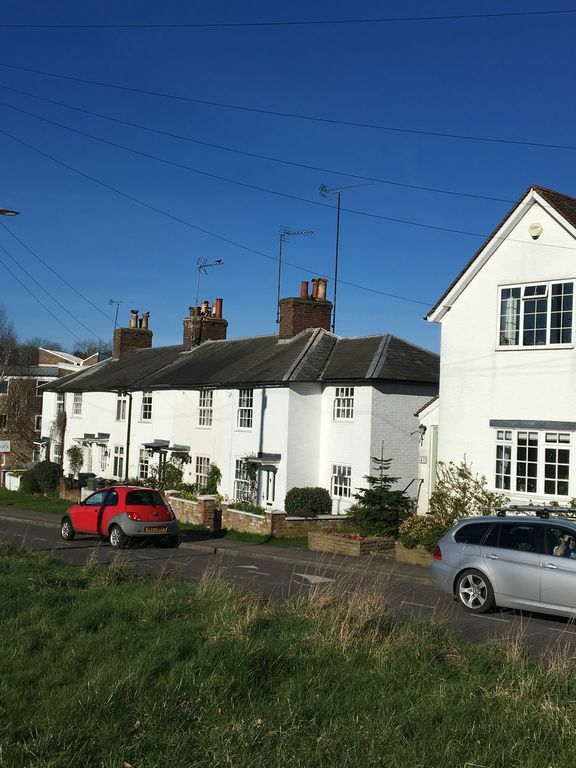 The cottage is sitauated on Harpenden's famous 'common' with breathtaking views from the cottage windows and offering direct access to country walks and cycle rides. Elizabeth Cottage is just across the common form the cricket ground and in walking distance of 2 much loved country pubs! A five minute walk to 'Southdown' which has a supermarket, cafes, bakers, butchers, takeaways and other useful little shops. A 10 - 15 minute stroll will take you into Harpenden town centre with its restaurants, coffee shops and good mix of boutique and high street shops and of course the train station. Harpenden train line goes north to Bedford via Luton and south to Brighton via London should you fancy a day at the seaside! The Cathedral Town of St Albans is a 10 minute drive or one stop on the train, there are also buses available. We are a short drive away from the M1 and M25 and there are many lovely villages and great towns within easy reach including Welwyn Garden City, St Albans, Watford, Berkhamstead, Luton and Tring to name a few! There are many walks and cycle routes for keen ramblers and cyclists and a HUGE selection of golf courses right on our doorstep! Harpenden Common Golf Club, Aldwickbury, Luton Hoo, Brocket Hall are just a small selection! Some of the many attractions within easy reach of Harpenden are: Whipsnade Zoo, Hatfield House, Luton Hoo, Stanborough Lakes, Kenworth House and London Zoo. Central London is just a 25 minute train journey away, enjoy all that London has to offer with its shopping, theatre shows, historic sites and nightlife then come back to the peace and tranquillity of the Hertfordshire countryside. convenient compact place with lovely views over the common. Quaint, cosy, quiet, great location. Really enjoyed our visit to Elizabeth Cottage, Clean, lots of light, very cheerful.Great location about 10 minute walk into Harpenden restaurants, shops and the train station. Bus stop at the end of the road, really easy to get around. Beautiful view onto Harpenden Common. Kitchen has all that you would need for a short stay . The bed is very comfortable and nice is size bathroom. I would stay here again if we come back to Harpenden. The pictures are very accurate.